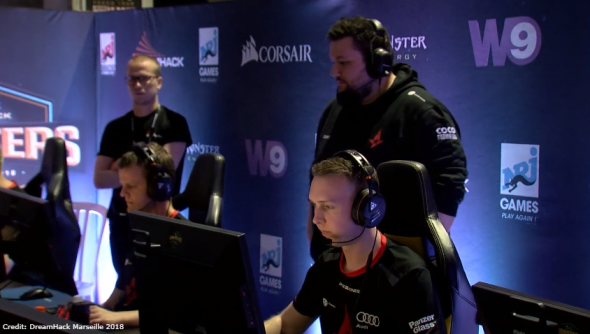 Astralis go into the ECS Season 5 finals as the firm favourites today, and in-game leader Lukas ‘gla1ve’ Rossander is feeling pretty confident. Speaking to PCGamesN during the media day at Wembley yesterday, the 23-year-old birthday boy discussed the team’s preparation ahead of their match against Cloud 9. Want to get to grips with a new shooter? Check out our best FPS games. “We have a sports psychologist helping us talk as a team, which really helps as well. It is mainly team sessions right now, but we have had individual sessions in the past, and it is really good. I actually think this team is really aware of what is going on around them and we are really open about talking about what’s going on in our heads, as well as talk about how we want to set ourselves up in our matches, both individually and as a team. The Danes, who won DreamHack Marseilles while only dropping a single map, have impressed with their recent run of success. Gla1ve attributes this in part to their confidence on every map. The Danes have been busy preparing for their first match against Cloud 9, but the in-game leader admitted he was wary of Cloud 9’s roster situation. Last month, the North American team announced they would be benching FNS after the tournament, leaving teams guessing who their in-game leader would be. Despite that, gla1ve said Astralis will be playing their game. Astralis will face Cloud 9 in the first match of the tournament today from 13:15 BST (05:15 Pacific).